Mexicans Can Now Travel Visa-Free To Canada - Canada Immigration and Visa Information. Canadian Immigration Services and Free Online Evaluation. 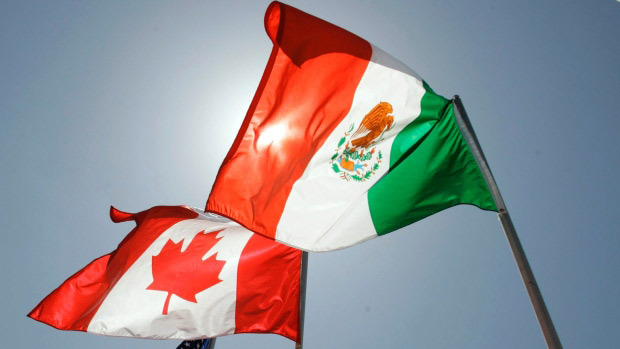 Mexican nationals can travel to Canada without the need for a visa from December 1, 2016. The move comes after Canadian Prime Minister Justin Trudeau announced the lifting of the visa restriction in June. Trudeau made the decision despite warnings from his own officers over fears there could be a flood of asylum requests from Mexicans. Canadian Immigration Minister John McCallum warned recently the visa requirement would be swiftly reinstated in the event of large increase in asylum claims. There are fears Donald Trump’s election as US president could also result in increased claims. But McCallum said that even before Trump’s victory, Canada had been preparing for a possible increase – with the power to re-impose the restriction an important part of the original deal struck to lift the requirement. McCallum says he hopes the time never comes, although the original visa restriction was imposed because of the number of claims being received by the Canadian government. McCallum said he had assessed the risks and they were outweighed by the benefits of increased trade and tourism. He said both Canadian and Mexican officials were working together to minimize the risks. The visa requirement was imposed by the Conservatives in 2009 because of the overwhelming number of asylum claims from Mexico. The annual number of claims dropped from 9,000 to 1,199 as a result of the move, with associated costs falling from $304 million to $44 million. However, the Tourism Industry Association of Canada estimates $465 million was lost as a result of the restriction. Meanwhile, there are also fears Trump’s anti-immigration policies could force Mexicans already in the U.S. illegally to try and make the move north to Canada. Experts say Mexicans who are used to the standard of living may choose to try Canada instead of return to their home country. Since his election victory, Trump has vowed to deport or jail three million people who are in the U.S. illegally. On his plan to build a wall, the President-elect has suggested it may have to be just a fence in places. It is not known exactly how many people per year make it across the U.S.-Canada border illegally, whether by boat, swimming or by land in remote areas. Figures show 487 were caught in 2011. A far greater issue is created by those who come on the premise of a visit and never leave. Foreigners are drawn to access the country illegally because they know children will be allowed to go to school and health emergencies will be treated whatever their status. The website of Immigration, Refugees and Citizenship Canada crashed on election night because of the sheer volume of Americans looking for a way out as Trump’s victory became clear. But officials say there are no plans to increase staff to meet the increased demand.